This 2012 Hawaii Volcanoes National Park quarter is minted at the United States Mint at Denver and has never been placed into circulation. 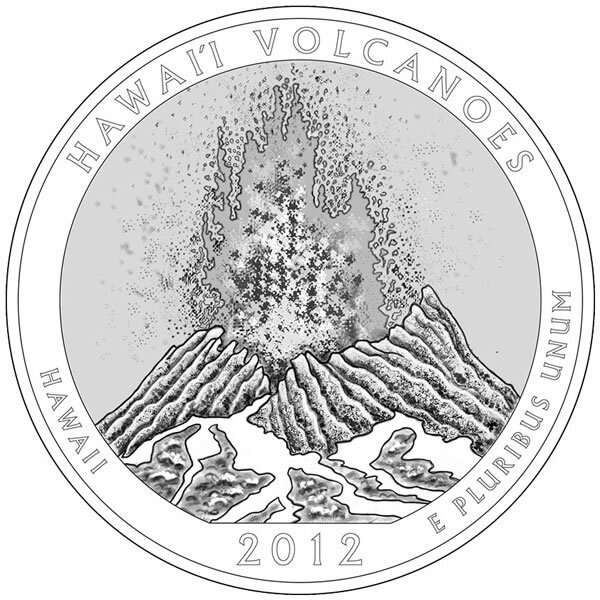 The fourth coin to be seen in 2012 as part of the United States Mint America the Beautiful Quarters® Program will be the 2012 Hawaii Volcanoes National Park Quarter. The strike will also be the fourteenth to be released since the program began in 2010. 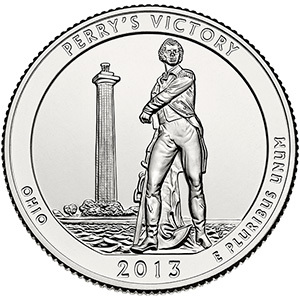 The quarter dollar entered circulation on 27th August 2012. Designed and sculpted by Charles L Vickers, the reverse of the Hawaii Volcanoes National Park Quarter depicts an eruption on the east rift of Kilauea Volcano. Inscriptions include HAWAI’I VOLCANOES, HAWAII, 2012 and E PLURIBUS UNUM.